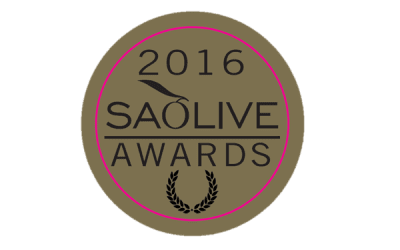 SAOlive Awards. LTR Pieter Coetzee, (father of) Briony and her partner Clive Heymans from Marbrin Olive Farm. 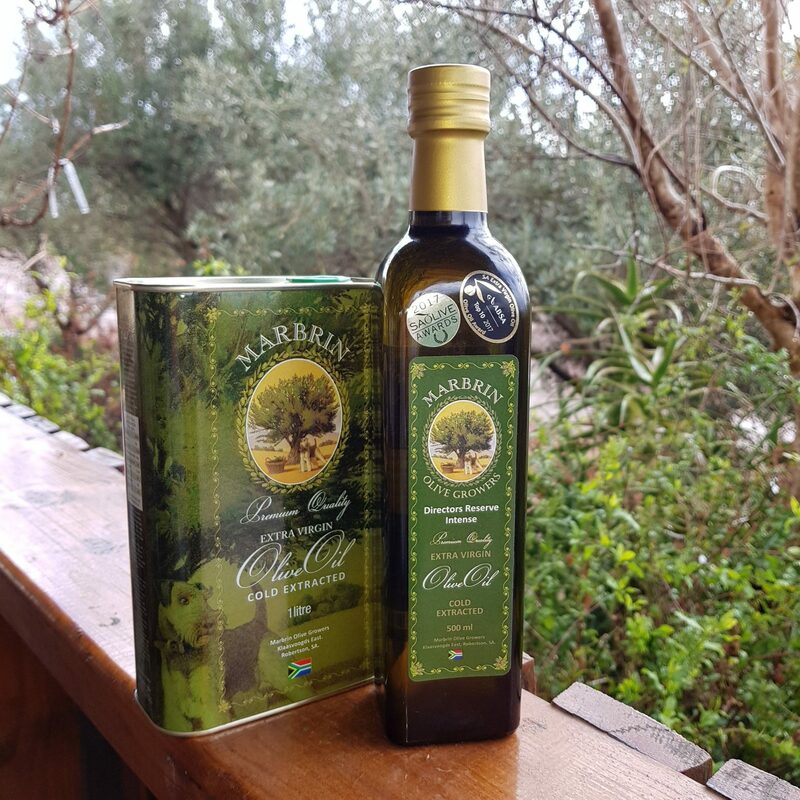 Marbrin is a small family-run boutique olive farm nestled in the renowned Robertson Breede River Valley surrounded by the Langeberg and Riviersonderend Mountains. 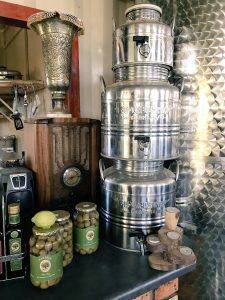 They extract extra-virgin olive oil and process their own unique range of table olives and tapenade. No surprise, then, that one of South Africa’s top supermarket chains buys practically their entire EVOO output each year! 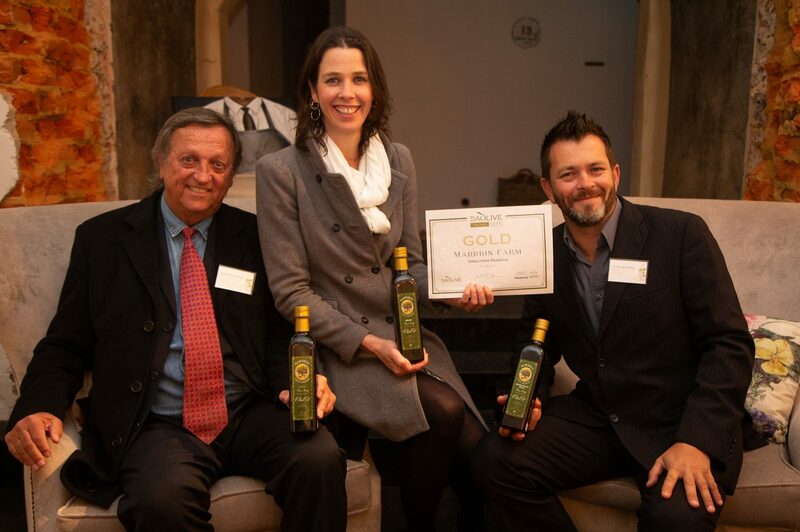 Marbrin has been one of the top ten Extra Virgin Olive Oil producers in South Africa for 3 years in a row, the prize going to their Director’s Reserve Intense Blend, which is renowned for its fullness of flavour in the balance of fruit, bitterness and spice. Luckily for you, you can buy directly from the farm and if you live in Cape Town, have your order delivered to your door. 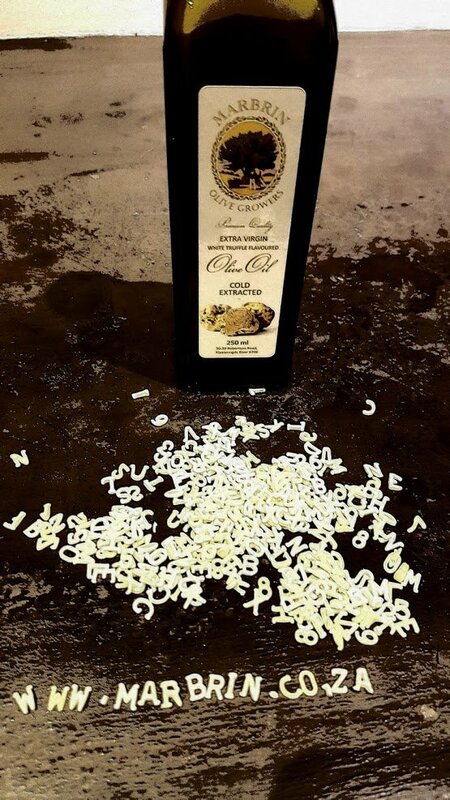 5 litres of Marbrin’s exceptional extra-virgin olive oil sells for R850 if ordered from the farm, with a R80 delivery fee for orders over 30 kg. And there is lots to choose from to complete your order: delicate or intense extra-virgin olive oil (EVOO), delicate, infused fennel, dill and truffle oils, and a potent chilli oil. Marbrin’s 6 year aged balsamic vinegar is imported from Italy, along with a balsamic reduction at only R80. 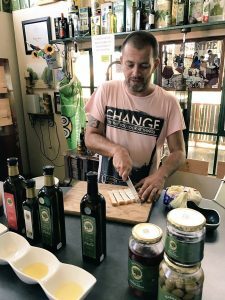 They sell their own kalamata and mission olives, and home-made tapenade with either garlic and lemon or traditional anchovies and capers. The EVOO comes in 500ml, 1l and 5 litre packaging sizes. Table decanters of balsamic and EVOO (250ml each) sell for R350 – a handy gift for foodloving friends this festive season. “Clive and I (Briony) met in a restaurant in South London. We both worked many years in London in the hospitality industry. 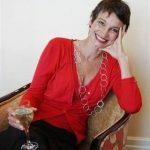 I was based mainly in the drinks sector where I specialized in wine and spirits and Clive was more on the managerial side with a passion for the food sector. It was with this cosmopolitan background where we learnt our love for the diversity of food, wine and people. We returned to South Africa in 2012 when our eldest daughter was a few months old and took over the project of becoming olive farmers and olive oil producers. This was a daunting task as neither of us had any experience in the agricultural industry so there was a lot of ‘baptism by fire’ lessons learnt! 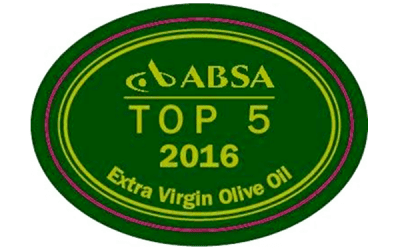 We are now rated for the 3rd year running as one of SA’s top 10 olive oil producers. Every year it has been won for our Directors Reserve Intense Blend, which is renowned for its fullness of flavour in the balance of fruit, bitterness and spice. We also host tastings on the farm where we like to educate South Africans on the importance of buying and supporting local agriculture and of course the many health benefits that come with consuming extra virgin olive oil; these include the fight against heart disease, cholesterol, osteoporosis and more recent research is looking into it combating Alzheimer’s. We are the No:1 Activity on TripAdvisor for Things To Do in Robertson and this is a position we have held since opening in 2012. Finally we are looking to launch our Supper Club. We do host several dinners on-site where one pays per head and you are given a 4 course meal with wines to match. Thanks to Clive’s food knowledge and my passion for drinks, this is proving to be a very popular event and due to the demand, we are now going to be doing it on a monthly basis. In a nutshell: we love what we do and we love our country and this passion is reflected in our products and in who we are. Come and enjoy the ambiance of the Robertson Valley as well as the taste of our olives and olive oil, a fruit well-known for its remarkable health benefits. Our cold-extracted EVOO contains no additives or preservatives and is not adulterated in any way. Marbrin’s award-winning extra virgin olive oil is a delicious and perfectly balanced blend of Frantoio, Coratina and Mission olive cultivars. Use the Delicate EVOO for cooking and baking and the Intense for the table i.e. over salads, pastas, marinating and grilling. Roadtripping Route62: Food, Wine and a Rocking Good Time!